Munir El-Haddadi, Rafinha, Deulofeu, Marlon, Douglas and Arda Turan are the six FC Barcelona players currently on loan at other clubs around Europe at the moment. Munir, Marlon and Douglas all joined other teams temporarily last summer whilst Rafinha, Deulofeu and Arda Turan all made the switch in the recent January transfer window. 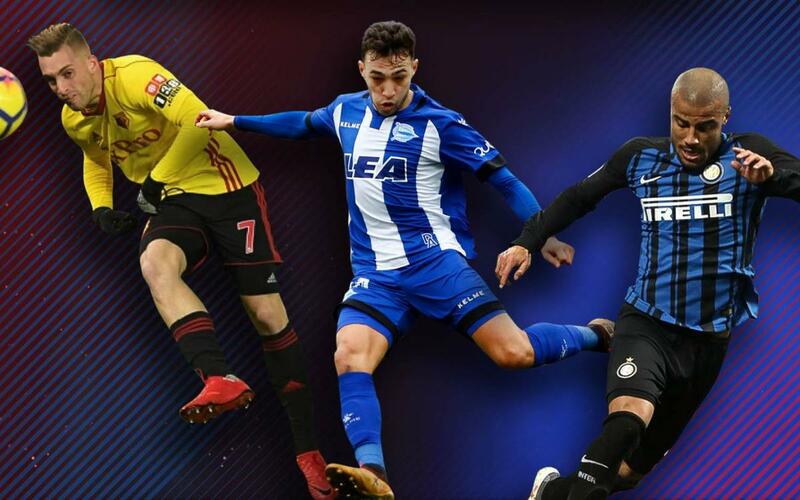 Munir is at fellow La Liga club Deportivo Alavés and the striker is proving himself to be a valuable asset for coach Pitu Abelardo, himself a former Barça player. With 20 appearances under his belt, 17 in the starting XI, Munir has scored five goals for Alavés, the most recent coming in last weekend’s 2-1 victory over Celta. Rafinha recently joined Serie A giants Inter Milan and the Brazilian international is finding his feet in Italian football. The midfielder has made two appearances as a substitute so far for the nerazzurri where he teams up with his former team mate in the Barça youth set up Mauro Icardi. Gerard Deulofeu returned to the Premier League in January, signing on loan for Watford until the end of the season. The winger already has experience playing in England thanks to his time with Everton and he made his debut for his new club in the recent 0-0 draw against Stoke City. Arda Turan has returned to the Turkish league and enjoyed a dream debut for Basaksehir, scoring just 20 minutes after coming on as a substitute in the 3-0 away win at Bursaspor. The midfielder has made a total of three appearances so far for his new club. Marlon Santos is gaining valuable experience playing for Nice in Ligue 1. The Brazilian centre back has made 11 appearances, 10 of them in the starting XI in the French league so far this season. Douglas is was loaned out to Benfica in the summer and the Brazilian full back has made seven appearances in all competitions so far for Rui Vitória’s team.